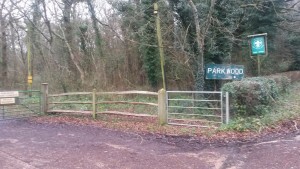 The site is on the east side of the A283 between Brighton and Henfield. If using a SatNav enter BN45 7BA; this is actually the location of the adjoining farm but the two entrances are side-by-side. At the junction with the A281 turn Left. Parkwood will be on the Left; look for the ‘Scout Camp’ sign. Travelling from the West, the M27/A27 is probably the best route, aiming for the A27/A23 interchange just north of Brighton; take the turning north (signposted to Gatwick) and after two miles take the A281 slip road signposted to Henfield. Follow the A281 turning right at the Roundabout near Poynings. Continue along the road; Parkwood is on the right; look for the ‘Scout Camp’ sign. For the information of our International colleagues it is only a 30 minute drive from Gatwick International Airport and around the same time from the Sussex port of Newhaven which is served by ferries from Dieppe.